The Best Way To Improve Your Credit Scores? Follow these simple tips, and watch your credit scores grow! Tip #1 – Pay your medical bills. They will take your unpaid medical bills and send them to collections quickly. Collections, no matter how small, can crush your credit score. Tip #2 – Do NOT pay collections and expect your credit score to go higher. The credit scoring model only looks at two things on a collection; the most recent activity date and the status code. It doesn’t look at the balance amount. For this reason, a collection for $5 and a collection for $5,000 have the same negative impact on your score. Paying off a collection can only hurt you because it updates the activity date and the $0 balance doesn’t help you. Tip #3 – Opt-out of Credit Bureau marketing lists. 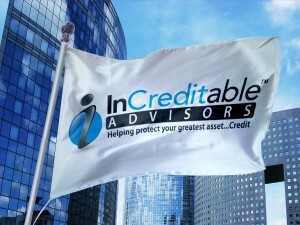 You may not know this, but you were opted-in at birth to the Credit Bureaus marketing lists. You have to opt-out or they can sell your personal information for profit. The information they sell includes your SSN, DOB, debt amounts, credit scores, age, address and more. Go to www.OptOutPreScreen.com to electronically opt-out for 5 years. Then, print the form and mail it in to opt-out permanently. Tip #4 – A 90-day late payment on a credit card has the same negative impact on your credit score as filing for Bankruptcy. So many people let all of their credit cards go, but won’t consider a BK because of their credit. Unfortunately, it seems the credit system rewards you better for filing BK and putting all that stuff behind you than letting it eat at your credit score for years. Tip #5 – Get a secured credit card. Everyone should do this. Just make sure you ask the issuing bank to whom they report the account. If they don’t report to all 3 credit bureaus, then don’t get the card. The whole point is to improve and protect your credit score and the only way to do that is if they report to all 3 bureaus. Tip #6 – A short sale is far better than a foreclosure for your credit. With a short sale, you have control over the end-date of the event. With a foreclosure, it just depends on when the bank gets around to it. They could take years to process it, crushing your credit score every month along the way. Also, the short sale looks much better on your credit profile. A foreclosure is like giving a lender “the bird”. You pretty much are saying, ‘it’s your house, you deal with it’. In a short sale, you are saying, ‘I can’t pay, but I want to help you get as much money back as possible.’ That will help you get back in a home more quickly down the road. Tip #7 – Loan modifications are a SCAM. Sure, we’ve all heard of that one person who got an amazing loan modification. They had to do that for a few people to create the myth that it was possible. Loan mods are designed to trap you in to doing whatever the bank wants. This is why they tell you to miss payments or make a lower payment while they “decide” if they’ll approve you. The Bank is well-aware you will have no other options as soon as you miss a mortgage payment and you will be forced to take whatever they offer you. Avoid these like the plague. Tip #8 – Never co-sign anything unless you MUST. There is absolutely no point in co-signing for a car, mortgage or student loan unless you have absolutely no other option. All it does is give the Bank another person to chase down in the event you can’t pay. It doesn’t help you one bit, but could end up biting you in the behind. Tip #9 – Authorized user accounts don’t really work anymore. This used to be a quick way to piggy-back the credit score of a family member and get a good credit score very easily. It doesn’t work as often these days and is being phased out as a “trick” to helping your credit score. There are also lenders that will disqualify you right away if they see any of your accounts are authorize-user accounts. Time to start building your own credit profile! Tip #10 – Pay your credit card bills before the statement ending date. Most people think the key to building a good credit score is to get a credit card, use it during the month, and then pay it off when the bill comes in. They did a good job of brain-washing us on this. Unfortunately, you are falling right into their trap if you do this. By the time you get the bill, the credit card company has already reported it to the credit bureaus. They report each month the balances of your accounts as of the statement ending dates. So, if you pay the account off each month, your credit score will never know it because the credit card company is reporting the balance to the credit bureaus right before you pay it off each month! All you have to do is pay the balance prior to that statement ending date and you will get the credit you deserve. InCreditable Advisors helps you understand How Credit Scores Work, we show you How to Improve your Credit, and we give you the tools on How to Protect your Scores. Call us today at 317.837.4969 to Schedule your Free consultation or watch our 4 step credit improvement process here.